President Rodrigo Duterte delivers his speech during the Partido Demokratiko Pilipino-Lakas ng Bayan campaign rally at the Marikina Hotel and Convention Center in Marikina City on March 20, 2019. 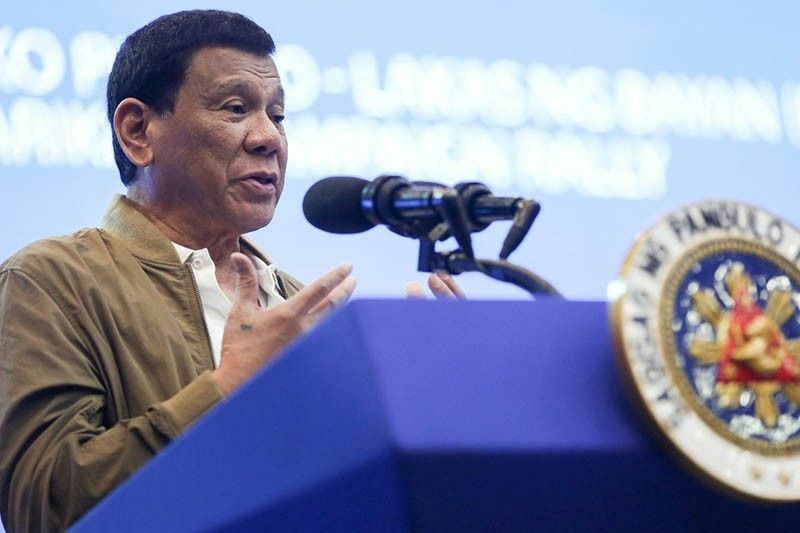 MANILA, Philippines — President Rodrigo Duterte has issued an order prohibiting travel junkets and team building activities of government officials and employees abroad. Duterte ordered this through Executive Order 77 signed last March 15. Copy of the document was released by Malacañang Thursday. “All forms of travel junkets shall be strictly prohibited. The conduct of strategic planning workshops or team building activities abroad shall not be allowed,” Section 19 of the order read. The order, moreover, bars official or personal travels of government personnel that are funded directly or indirectly, fully or partially, by private individuals—including suppliers and contractors—with pending requests or future dealings with any office of the national government or local government units. “Official foreign trips partially or fully sponsored or funded by private corporations or private individuals shall be fully disclosed,” the order also read. Duterte earlier vowed to put an end to extravagant travels of government officials, saying these are waste of public funds. In January last year, Executive Secretary Salvador Medialdea issued a memorandum on foreign travels of all government officials and personnel in the executive department. According to the memorandum, official travel abroad should only be allowed if the trip is “strictly within the mandate” of the official, projected trip expenses are “not expensive” and travel is “expected to bring substantial benefit” to the country.